Originally based at Chester, Scania PO12HVA was seen at a 6 pump fire in Mouldsworth, 27 January 2015. IRU079 DG53FYJ was seen during an exercise in Warrington, 14 June 2013. 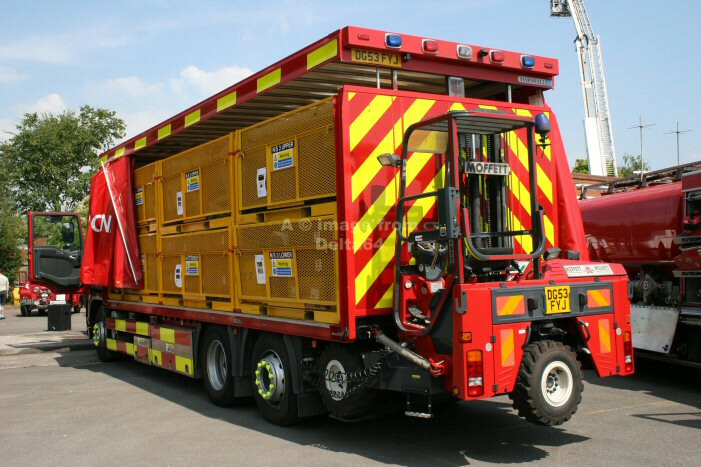 This rear shot of IRU079 was taken at Frodsham Fire Station, 9 July 2005.